Bukwang Pharmaceuticals has been developing and manufacturing drugs and personal hygiene products in South Korea since 1960. Today, it has over 600 employees based at various sites across the country. Prior to its switch to Ubuntu, the company had 620 desktops, with 60% running Windows 7 and the remainder on Windows XP. When Microsoft’s support for Windows XP was terminated, Bukwang was faced with a new, more expensive Enterprise Assurance contract with Microsoft. This would also necessitate buying new PCs to run the new software. Together these factors would significantly increase the cost of Bukwang’s desktop deployment. 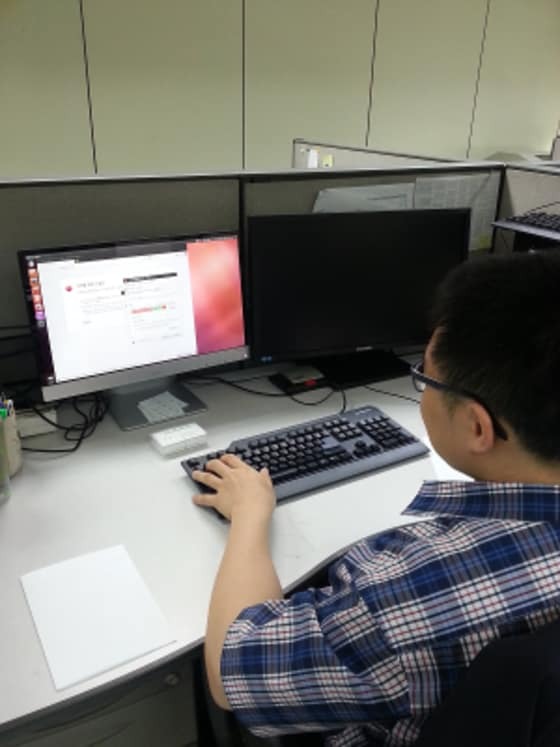 The team at Bukwang already had some experience with open source software including OpenOffice, 7ZIP and Linux on the server. They had even developed an ERP system using open source components. All the above gave them confidence that an open source solution could solve their desktop issues, but several obstacles remained. One, surprisingly, was cost. Linux is well known in Korea, due to its place on the curriculum at many universities. However, in the corporate world, many deployments are tied to expensive support contracts from suppliers like Red Hat, often priced per seat. The other was the prevalent use of Microsoft in the marketplace. Compatibility with its office productivity suite and popular software packages like Active-X would be a key requirement. It is easy to install and requires minimal management overhead – in fact, two administrators were able to upgrade, test and roll Ubuntu out onto 390 PCs in just two weeks. Ubuntu is secure by design, greatly reducing the cost of monitoring security across the desktop estate. It features a remarkably user-friendly interface, making it easy for people who have grown up with Windows to use. It can co-exist easily with other platforms. Due to the country-wide prevalent use of Microsoft’s Active-X software, only 62% of the company’s PCs could be migrated away from Windows in the first instance, so interoperability was a must. In the first phase of the project, Bukwang Pharmaceuticals switched around 400 PCs to Ubuntu. Even before the planned migration of all remaining machines, savings on annual licensing alone totalled $300,000. And the benefits didn’t stop there. In a country where Microsoft was so well entrenched, Bukwang’s migration to Ubuntu and Open Source proved to be of enormous interest in the business community. It generated a raft of free publicity in the media, including interviews with the Korean Ministry of Science, ICT and Future Planning.